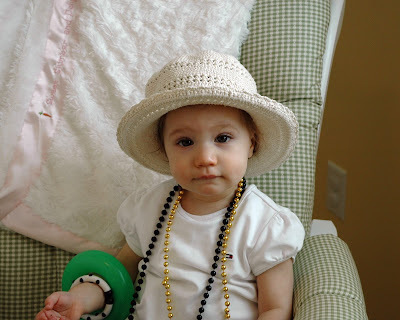 Ava is at that age where she loves dressing up. 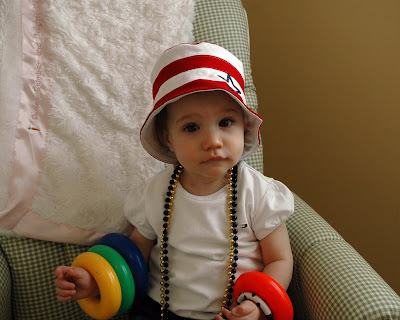 She will try on anything, whether it is hats, jewelry, or shoes. 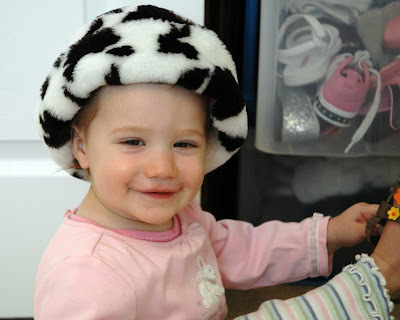 She will spend hours going through all of her shoes and hats trying them on one at a time. Not only does she like to dress herself up. She also likes to include Nala in on the fun. Though Ava isn’t much of a shopper (yet)—she quickly loses her patience when I take her to the mall—she certainly likes trying things on when she’s at home. 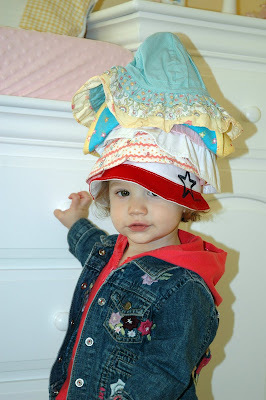 Considering the number of hats that we have bought for Ava, I am so glad to see that she has finally started taking a real interest in wearing them and keeping them on for more than a minute. 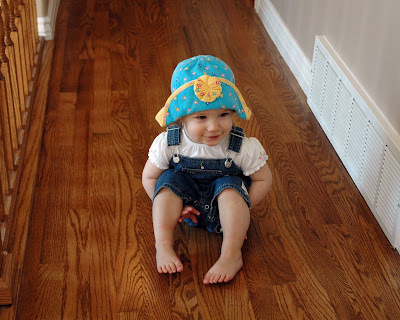 You can see here how excited Ava was to hear that she was wearing one of her Aunt Maddie’s old hats. 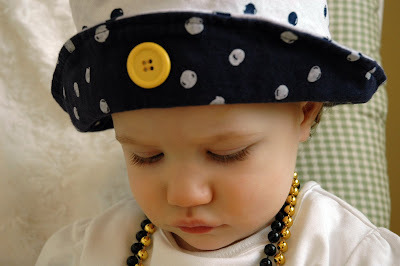 Here Ava is thinking of how to get even more hats. Ava also loves going through my closet and trying on all of my shoes. 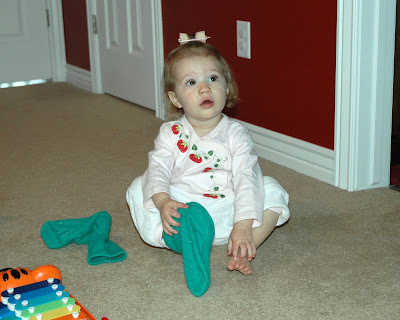 The other day I even found her putting on my socks. I know that these are quite scarily bright socks, but they are actually so comfortable (I only wear them to bed). Next up: getting her to love shopping! WOW...she really is a girly-girl huh!! It's pretty cute to see her trying all that on though!! 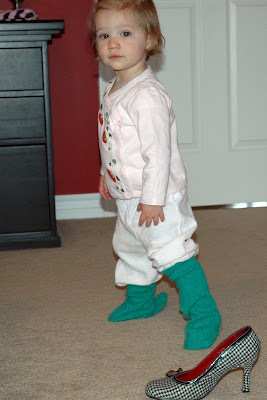 She's definitely your little girl Krista...all that taste in fashion!! Too cute!!! 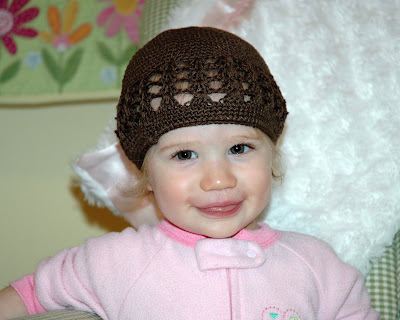 Ava does look nice in hats! Thank you so much for sharing your family. It means so much and we really enjoy and look forward to seeing your blogs. 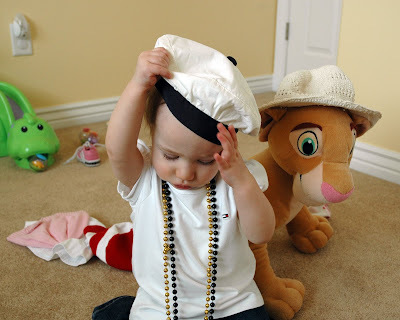 Wow, I didn't realize kids as young as Ava liked to play dress up (I've got a lot to learn)! Nice to know I'm not the only person that wears socks to bed!